We get many of the same questions week after week about the various peppers we grow so this is the first post in a series about the peppers you see each week at the Purple Farmstand or tailgate market. 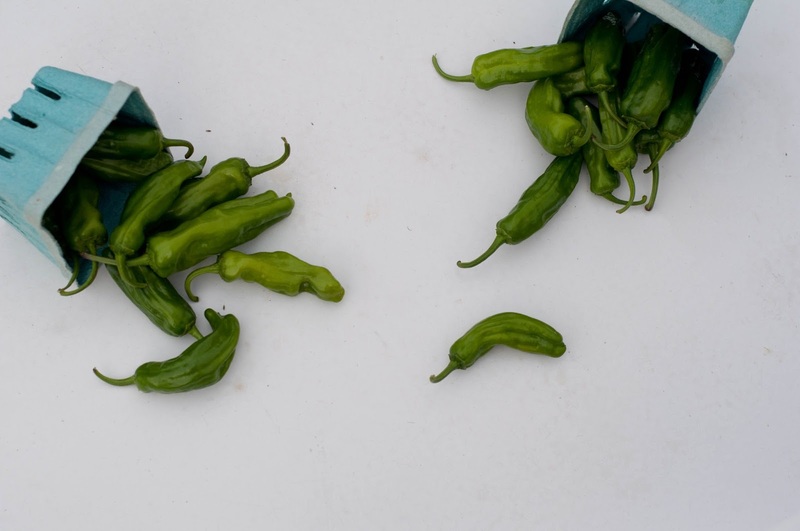 The Shishito Pepper has found its self to be quite popular these days and with good reason. This east Asian pepper is mild in taste and has thin walls which make it delicious simply pan fried. 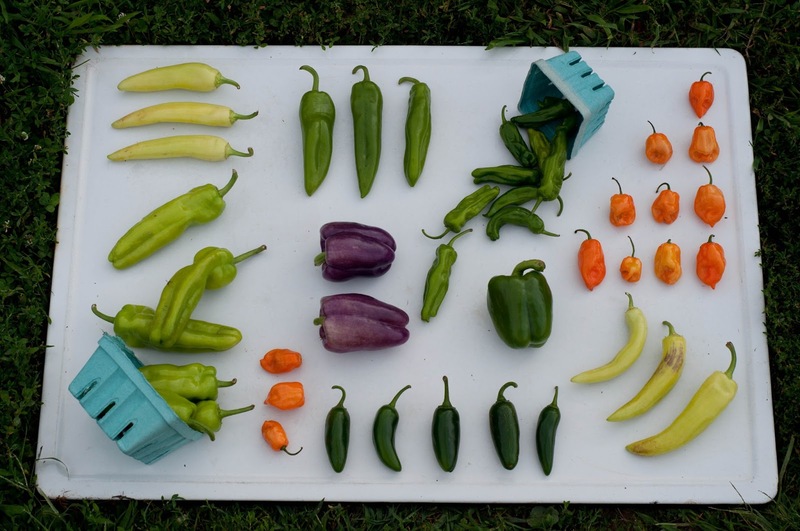 While most are mild there is occasionally a spicy one...approximately 1 in 10 are medium spicy (buyer beware!). Their Scoville Scale rating is between 100 to 1,000. The Scoville scale rates peppers and hot peppers sauces on hotness. Ways to prepare them include pan frying as I mentioned above, on the grill, and if you're incredibly ambition you can tempura them. I think the most fun fact about them is how they got their name. Apparently the end of the pepper resembles a lion head (use for imagination here) which in Japanese is Shishi.